EcoTeach and SEE Turtles have teamed up to offer volunteer trips to Costa Rica to work with endangered marine wildlife. SEE Turtles’ mission is to protect endangered turtles throughout Latin America and the world by supporting community-based conservation efforts through conservation travel, school programs, and the Billion Baby Turtles Initiative. 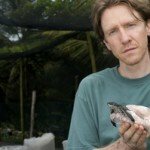 Brad has worked in sea turtle conservation, ecotourism, and environmental education for 15 years with organizations including Ocean Conservancy, Rare, Asociacion ANAI (Costa Rica), and the Academy of Natural Sciences (Philadelphia). He has also consulted for several ecotourism companies and non-profits, including EcoTeach and Costa Rican Adventures. 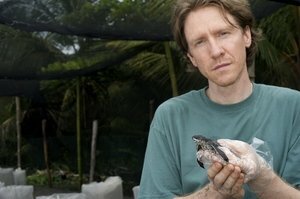 Brad is a co-author of the Worldwide Travel Guide to Sea Turtles, a member of the Awards Committee of the International Sea Turtle Society, and has authored several book chapters, blogs, and abstracts on turtle conservation and ecotourism, and has presented at major travel conferences and sea turtle symposia. Brad has a BS in Environmental Economics from Penn State University and taught a class on ecotourism at Mount Hood Community College.